RINOX Engineering is one of the pioneers of the concept of modular railing system in Stainless Steel. It has gained respect among the most quality conscious buyers across European and American continents. Using German manufacturing technology, strict Quality norms and multi-locational manufacturing (Germany & India) RINOX has become a leader in its field. Rinox Midwest USA, based in Kansas City Missouri, is now stocking Rinox Engineering’s Architectural Modular Stainless Steel Glass Handrail components for both the Glass/Glazing Industry and the Ornamental Handrail Industry. All components are alloy 316. 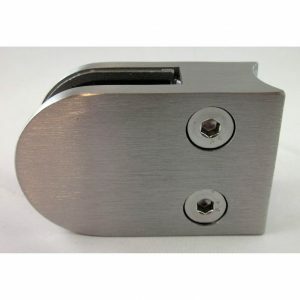 Please page through our new Rinox catalogue, then click “PRODUCTS” to review our Stainless Steel components in stock. Contact us for your specific project needs. RINOX Engineering is one of the pioneers of the concept of modular railing system in Stainless Steel. It has gained respect among the most quality conscious buyers across European and American continents. Rinox’s new Reiner Post Glass Handrail System consists of a 1/2″ thick x 3-1/4″ wide water jet cut post, 1/2″ thick x 6″ x 6″ base plate, 5/8″ diameter glass bracket rod arms and saddles are available for 1.50″, 1.66″, 1.90″ and 2.00″ diameter grab handrails. 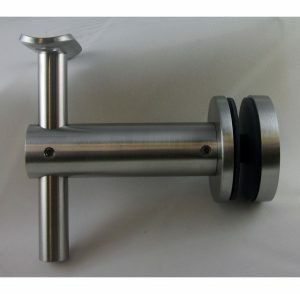 All stainless steel components are alloy 316. 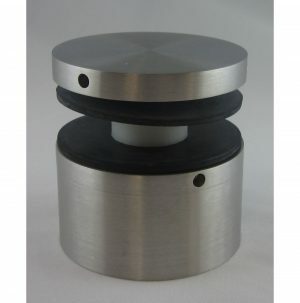 We will be stocking these stainless steel Reiner posts in the near future. Premium Stainless Steel Railing System by RINOX provides complete and elegant solution for all your standard railing and architectural requirement. The railings system devised by RINOX is completely modular and does not need any welding, grinding or polishing at installation site. 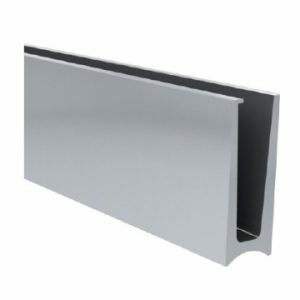 Making it a affordable railing components solution without the headache. The Railing system is based on interchangeable components, allowing for a wide range of flexibility to design a professional and secure railing system. These components are available to fit standard pipe sizes. Finally, affordable railing components that’s European designed and engineered, available in the Midwest. Contact us today and see how Rinox products can work for you!